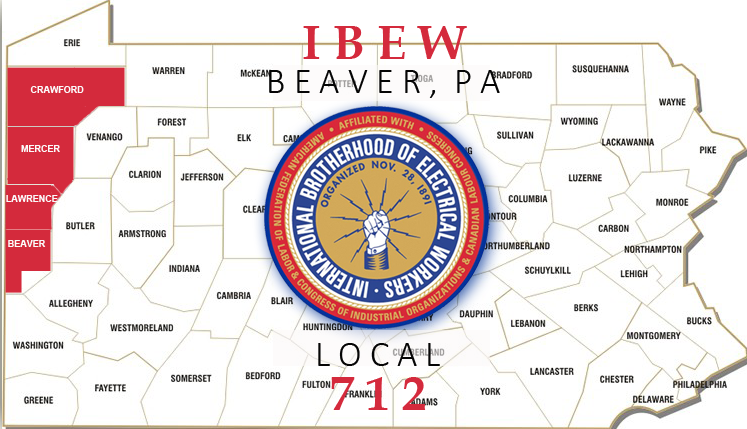 IBEW Local Union 712 is an electrical organization founded in 1914. 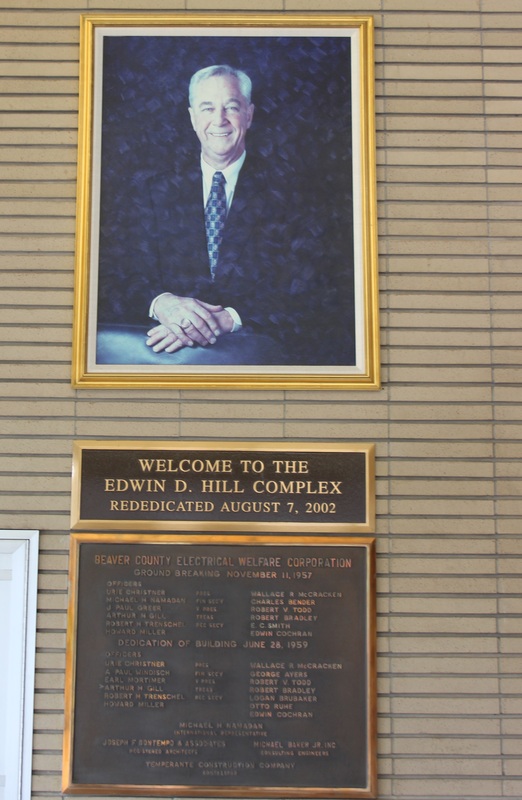 It is located in Beaver, Beaver County, Pennsylvania. We have over 450 electricians that serve over 40 contractors in Beaver, Crawford, Lawrence and Mercer counties. 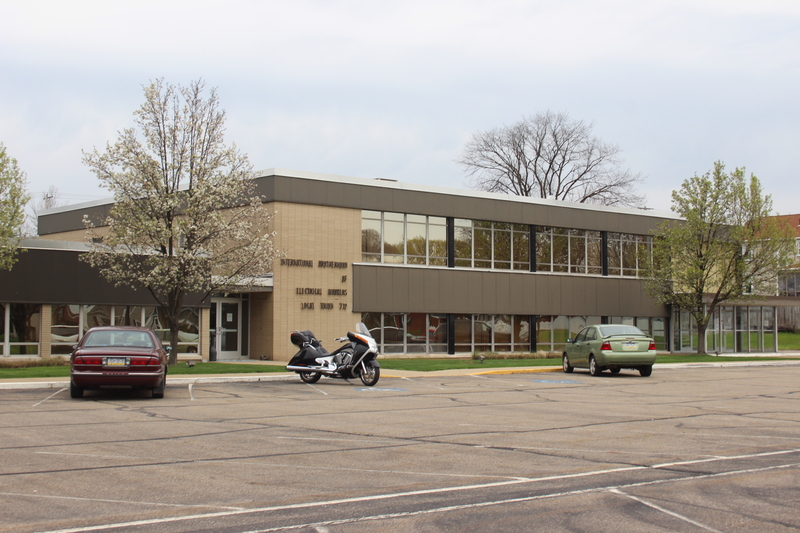 Cities such as Beaver Falls, Chippewa, Rochester, New Castle, Hermitage and Meadville are all covered by Local Union 712. Our skilled electricians are supplied to signatory contractors within our jurisdiction (click to view map). The certified electricians are highly skilled, professionally trained men and women who are capable of performing all aspects of the electrical field. Along with all of the building trades, IBEW Local 712 offers an apprenticeship program through the Western Central Pennsylvania Electricians Joint Apprenticeship and Training Committee, which is a five-year program. 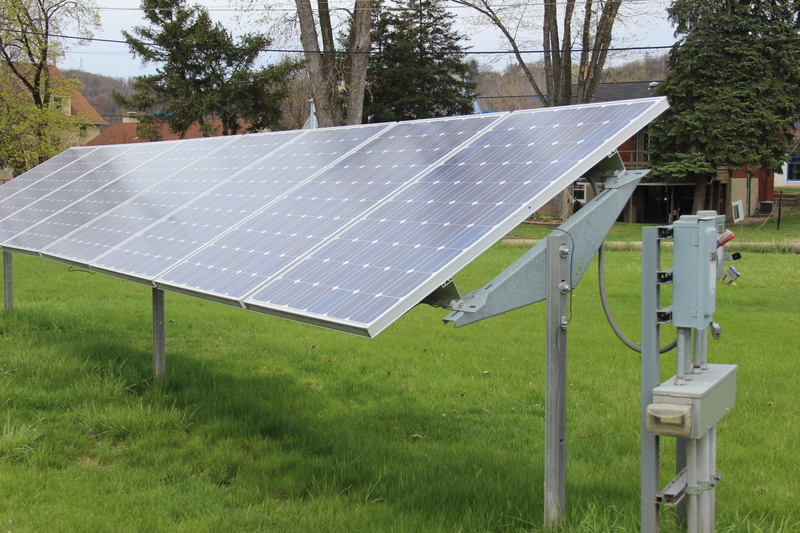 It includes on-the-job training with our signatory electrical contractors, as well as 800 hours of classroom/lab instruction (at a minimum) in the electrical trade. The JATC program provides apprenticeship training that makes our members desirable employees. Our apprentices learn all aspects of the Residential, Commercial and Industrial industry. Upgraded courses in new codes and technologies are constantly being incorporated into the classrooms. 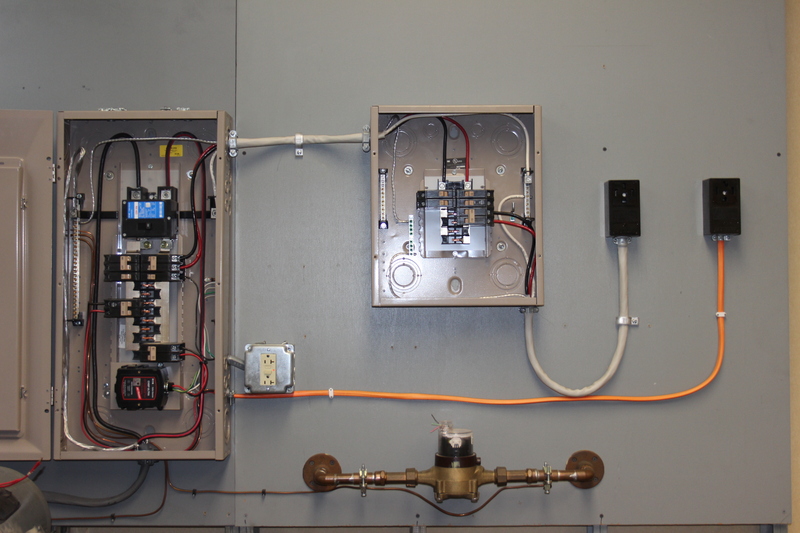 Our members become well trained in every part of the electrical construction industry. They learn AC-Theory, blueprints, OSHA and safety work practices, photovoltaics, fiber optics, fire alarm, security and so much more. Click here to learn more about the IBEW Code of Excellence! 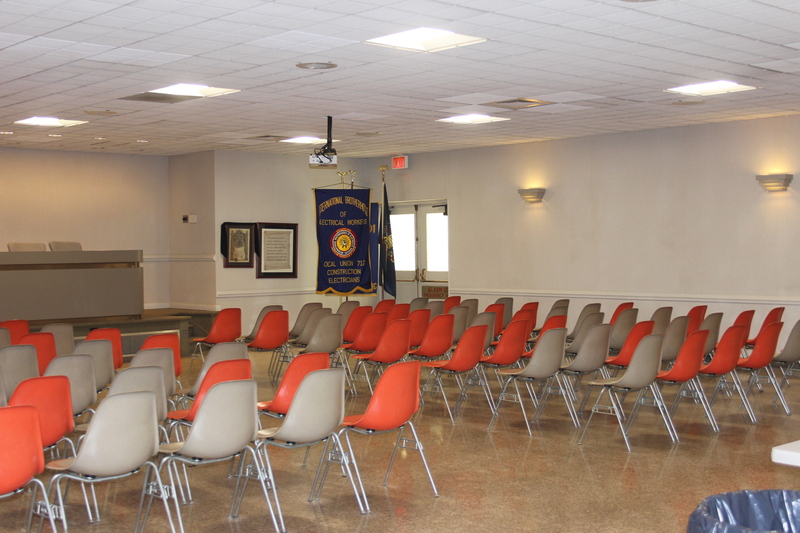 CHECK OUT OUR UNION HALL! If you have experience and are interested in becoming a union electrician, click here! 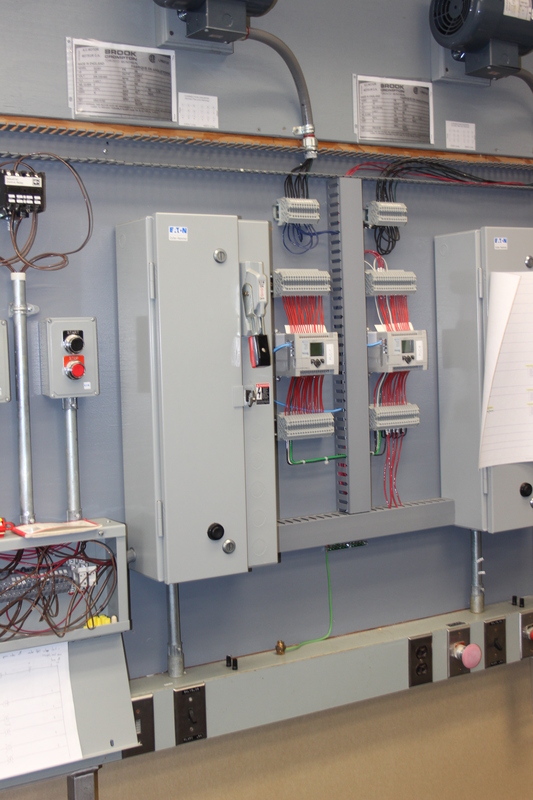 We provide a world-class electrical training program producing the safest, most productive and best trained construction electricians in the world. 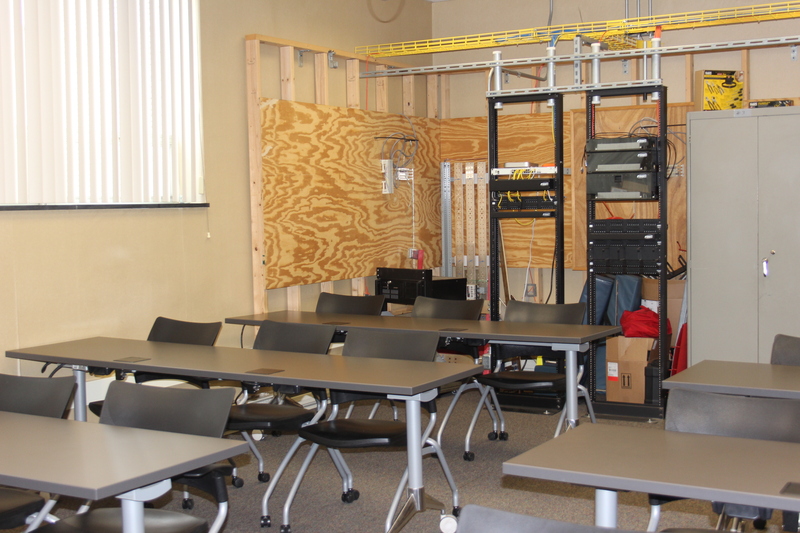 The Electrical Training Alliance is a nationally recognized program that produces highly qualified electricians who get the job done right the first time. 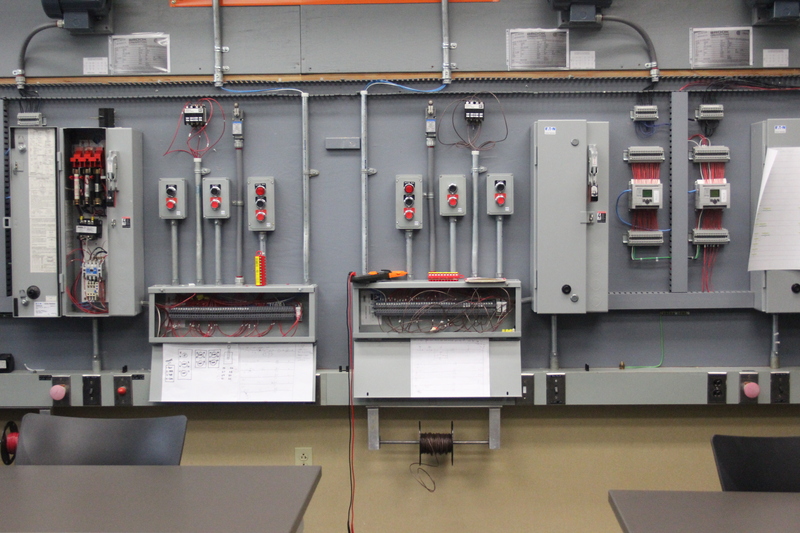 Joining an IBEW apprenticeship is an excellent way to begin a career in the electrical trade. Click here to find out how to apply. By clicking the links above, you are now leaving IBEW Local Union 712’s website and are going to a website that is not operated by the Local Union. We are not responsible for the content or availability of linked sites. Construction Electricians serving Beaver, Crawford, Lawrence and Mercer Counties.